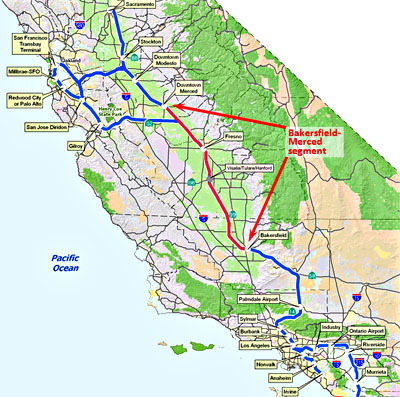 If the cost of the entire project balloons at the same pace as the Central Valley section, the San Francisco-to-Anaheim railroad would cost from $63 billion to $87 billion, similar to what independent analysts have been predicting. And those figures do not include inflation, which could push the final cost toward a staggering $100 billion. When California voters approved the project in 2008, the state said it would cost $33 billion, but it soared to $43 billion a year later. I’m no engineer, but I’m willing to risk a few C-notes that this project ends up at $100 billion or more in 2011 dollars. Any takers? This is a very long-term bet, of course, since the line isn’t scheduled to be finished until 2020—and I’m willing to put up a few more C-notes that it’ll be more like 2025 or 2030. Or never. Look, I’m sorry, HSR lovers. I love me some HSR, too, but this project is just a fantastic boondoggle. It didn’t even make sense with the original cost estimates, and it’s now plain that it’s going to cost three or four times more than that. What’s more, the ridership estimates are still fantasies, and it won’t be able to compete with air travel without large, permanent subsidies. This is just too much money to spend on something this dumb. It’s the kind of thing that could set back HSR for decades. Sacramento needs to pull the plug on this, and they need to pull it now. We have way better uses for this dough.